Cell-free DNA is released by normal cells and cancerous cells into the blood stream and other body fluids. 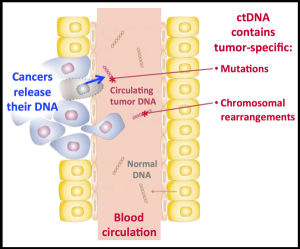 Advanced molecular technologies such as those developed by SAGA Diagnostics are required to distinguish the tumor-derived DNA (“circulating tumor DNA” or ctDNA) from the normal-cell-derived DNA. Recent research indicates ctDNA to be a robust biomarker for tumor burden and that it faithfully represents the genetic defects present in all tumor deposits. Therefore, ctDNA holds great promise for non-invasive monitoring of cancer patients. The quantity of ctDNA is related to prognosis, and ctDNA analyses can be used to detect actionable and druggable gene mutations as well as resistance mutations at the earliest moment. IBSAFE™ is a patent-pending technology for exquisitely sensitive and specific quantification of gene mutations and other sequence variants in DNA or RNA. Error rates plague all methods that employ polymerase enzymes, causing detection noise and false-positives. IBSAFE™ effectively eliminates this error, allowing for an enhanced lower limit of detection down to 0.001%. This is a 10 to 100-fold improvement compared to competing methods such as dPCR, qPCR, or NGS. With IBSAFE™, patients with subclonal mutations may be eligible for targeted therapies. With IBSAFE™, resistance mutations can be detected at the earliest moment. With IBSAFE™, mutant alleles can be quantified in circulating tumor DNA or tissue biopsies. Inquire regarding in-licensing opportunities within the fields of infectious disease, NIPT, transplant medicine, forensics, and others. KROMA™ is a proprietary technology for detection and quantification of tumor-specific chromosomal rearrangements in circulating tumor DNA. 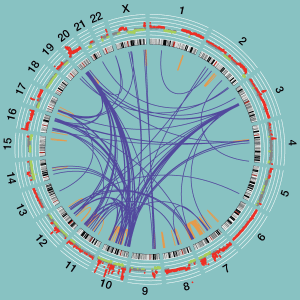 All cancers contain chromosomal rearrangements. Chromosomal rearrangements are early events in cancer development and thus are “trunk” events and present in most/all cancer subclones. Therefore, tumor-specific chromosomal rearrangements are ideal biomarkers for monitoring cancer patients during therapy to quantify minimal residual disease (MRD), detect occult metastasis, and measure response to therapy. We have shown that KROMA™ can be used to predict poor prognosis in breast cancer and identify metastatic disease up to 3-years prior to patient symptoms. 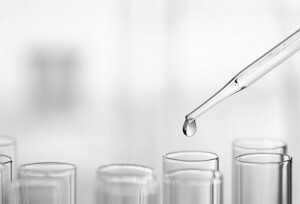 The SAGA Diagnostics laboratory is developing an in-house quality assurance system for clinical testing and anticipates ISO accreditation during 2019. Chen Y, George AM, Olsson E, Saal LH. Identification and Use of Personalized Genomic Markers for Monitoring Circulating Tumor DNA. Methods in Molecular Biology. 2018;1768:303-322.